Specialising in custom-made hearing protection and communication solutions since 1994, ACS is one of the first UK companies to achieve compliance to the new regulation and is ready to serve the market beyond April 2019. 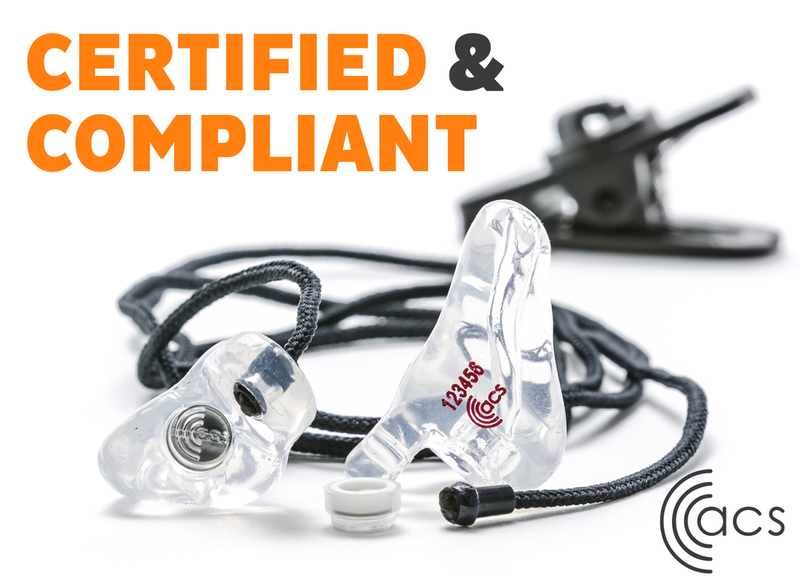 All ACS custom fit hearing protectors are produced utilising the very latest 3D digital manufacturing technologies and are fully certified to EN 352-2 and EN352-6 and PPE regulation (EU)2016/425. ACS PRO Series hearing protectors are suitable for a wide range of working environments. Providing a superior custom fit and manufactured from soft medical grade silicone, they offer all day comfort with guaranteed levels of protection. The range of interchangeable ACS filters offer a choice of 6 SNR’s between 15dB and 28dB which ensures the correct amount of sound reduction can be achieved in any environment. Is your workforce exposed to noise?